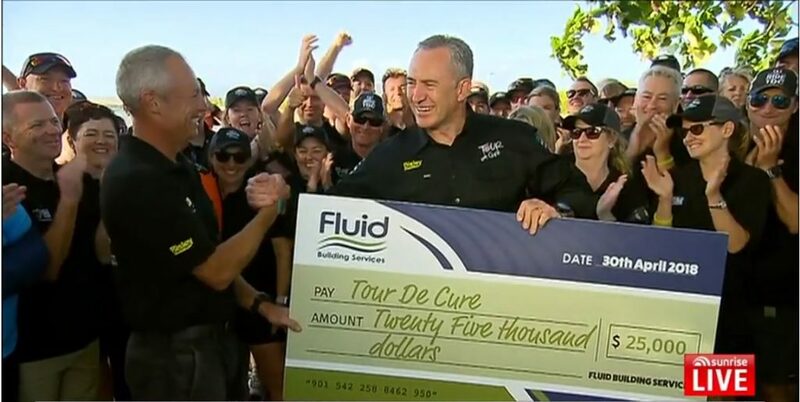 Fluid Building Services are doing their bit to cure cancer, with Director, Clint Bowen donating $25,000 to Tour de Cure recently. This month Clint is participating in his 5th Tour de Cure Signature Tour, joining 160 other cyclists in covering 1,100kms through regional communities across far-north Queensland. The aim is to raise more than $2.2 million for life-saving cancer research, support and prevention projects. Raising awareness that 1 in 3 cancers are preventable is a key focus for Tour de Cure. making simple, healthy lifestyle choices, they can reduce their cancer risk. Whether you are ready to get started or would simply like to ask a question, please contact us to talk about your specific project requirements. All Rights Reserved ©2019 Fluid Building Services.